Rights & Democracy members voted overwhelmingly to endorse Democrat Christine Hallquist for Governor. Hallquist received 90 percent of the vote in a three-day, online election that began September 7th and ended September 9th. Nearly one-third of voting members participated in the election. Hallquist sought an endorsement from Rights & Democracy (RAD) and sat down with member leaders for an interview that was shared with the members who voted in this election. 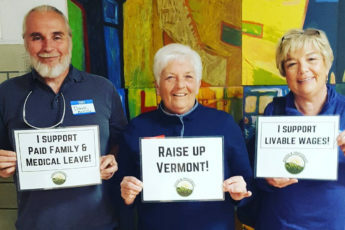 “The convincing margin of support demonstrates the enthusiasm that RAD members have for defeating Phil Scott this November,a governor who has proven himself to be out of touch with Vermonters who support raising the minimum wage, providing paid family leave, addressing structural racism, and moving toward a clean energy future,” said Jubilee McGill, a member leader of RAD’s Candidate Endorsement Committee. Hallquist joins a long list of other RAD-endorsed candidates in the 2018 elections. A Rights & Democracy endorsement is a signal that a candidate reflects RAD’s values and will champion those causes. 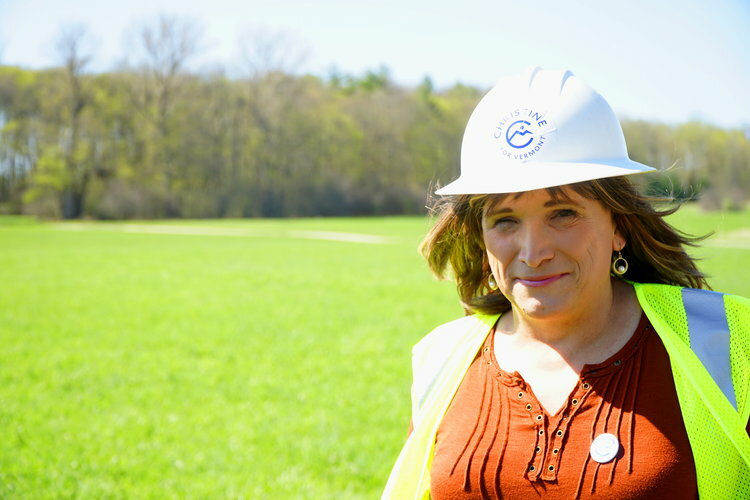 During the 2018 legislative session, Hallquist took part in the Minimum Wage Challenge, and from that experience embraced the push to raise the minimum wage. RAD will work this campaign season to elect candidates who will will lead on the issues that have wide support by Vermonters, but have have been rejected by Gov. Scott and a select few in Montpelier—raising the minimum wage, passing paid family leave, ensuring we have clean water and hold polluters accountable, pushing for a 100-percent just and renewable future, and making our state is equitable for all. This special membership vote is what makes RAD unique among grassroots organizations. Donate. Suggested membership is $120 annually/$10 a month, but any amount is welcome. Donations to Rights & Democracy Project, a c4 nonprofit, are not tax deductible. And/or, join an issue or statewide leadership team. And/or, take action with Rights & Democracy four times a year.